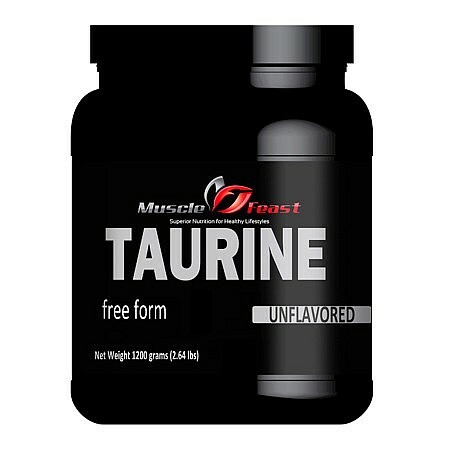 Taurine, also known as 2-aminoethanesulfonic acid, is a nonessential amino acid. It is the most abundant free amino acid in many tissues and is manufactured by other amino acids such as cysteine, vitamin B6 and methionin. Taurine is particularly high in foods such as milk, eggs, meat and fish. In newborns, taurine is essential as they cannot make it. Furthermore, it is different from most other amino acids in that it is not incorporated into proteins. It is more heavily concentrated in heart tissues and the brain. Individuals who are at risk for a deficiency of L-Taurine, include vegetarians and women of all ages. It is believed that women are more at risk for a L-Taurine deficiency, because of the presence of female hormones that restrict the production of L-Taurine within the body. One of the benefits that have been associated with L-Taurine, is a reduction of heart disease risk. This is thought to be due to the fact that L-Taurine is responsible for maintaining a normal output of potassium from the heart muscles. L-Taurine also works to break down fat within the body by producing bile. It is also thought that L-Taurine may have benefits for individuals who suffer from diabetes because this amino acid can affect the body’s sugar levels and need for insulin. Further uses of L-Taurine that have been suggested to help with depression, cirrhosis, low sperm count, and low sperm motility, as well as control of high blood pressure. Potential Side Effects of L-Taurine – Supplemental use of l-taurine is generally considered to have no adverse side effects or drug interactions. As always, however, you should consult with your physicians before adding l-taurine supplements to your daily regimens. Additionally, women who are pregnant or nursing should consult their physicians before adding l-taurine supplements. You should also consult with your doctor before taking this supplement as high doses of l-taurine has been shown to lower blood pressure.